Who does, but that’s the point of this blog. I should be doing laundry, making out a new “to-do” list, answering email, anything but sitting here striking at the letters on the keyboard, OR is this what I should be doing and letting other things get done later? I choose this and will not sweat the small stuff, if the dinner salad does not have a tomato sliced in it, or the laundry does not get done until tomorrow. I’m not going anywhere and the jeans I have on are clean, my sweatshirt is clean and warm. Hey, even the coffee pot is still warm. Yet, there are times we tend to make our “to-do” lists bigger than necessary, and still leave room to add more on at the bottom. Sometimes, this makes us feel important, until we cannot cross off even one item. The more we have to do, the more we can do, right? Not since the last time I looked at my list before the shredder ate everything off the paper.? Yes, there are always errands to run, appointments for doctors, dentists and other important items, and once these get accomplished, we can write. WRONG. Somewhere down the list, we forgot to enter in our writing time. For a lot of writers, published and not-yet published, this is foremost the important part of our lives. Why? There is no list needed to remind us to write. Writers write and we are the writers. But if you are new to the living world of writers, you might use a big, like huge, colorful sticky on your computer. This will trigger your mind to know what you should be doing. Even if you have fifteen minutes, you can write. 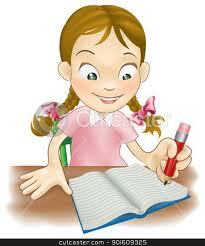 You might read over what you wrote earlier, do a touch-up to a few words (better known as a revision). Or, you might get in the mood with ‘Morning Pages.’ Remember The Artist’s Way and the morning pages? These pages are for no one but you. You can scribble, draw pictures, develop your lovely lady or find ways to make hero a great villain and likeable at the same time. What helps a writer is to establish a routine, but make certain it is not chiseled in stone. Another idea is to write even when you don’t know what you will write. This is one of the best ways to begin and follow your heart with words. Writing every day sets the pattern of a writer, but writing every day at the same time helps your writing become more efficient. Sure, we stumble along the path and when that happens, step back, take a deep breath and think small. You are not sitting down to write the complete manuscript at one time, rather scenes of the manuscript. And, be prepared to write and write and write. Sometimes garbage fills the page, but before you delete or cross through, keep your writing just the way you put it on the screen. You never know when these words may be just the ones you need at a certain scene in your manuscript. Remember, writing is never finished until you add “THE END” to the last page, and then you may make many more changes again. Happy Writing Every Day. Happy Morning Pages. Happy Garbage Writing. This entry was posted in Writing and Ramblings and tagged a hand up, a new you, but now is the time to write, characters, comments, communication, conflict, conversation, do not foillow the norm, don't sweat the small stuff, emotions, errands to run, establish a routine, failure, fear, fun, genre, ideas, improvement, journey, learning to accept yourself, listen, make notes to yourself, mystery, not enough time, opportunities, plot, research, revision, romance, secrets, set boundaries, set your pattern of writing, silence, sounds, success, THE END means you read again and again., use your time wisely, word drop, write every day, writing by wildwriter521. Bookmark the permalink.